Douglas Stevenson Hutcheon King was born in 1917 and attended George Heriot’s School from 1926 – 1932. He was employed first with Messrs. J & R A Robertson, W.S., Queen Street; later he was assistant cashier with J C & A Stuart W.S., Rutland Street. He volunteered for the R.A.F. in September 1939 and was promoted to Sergeant in October 1940. 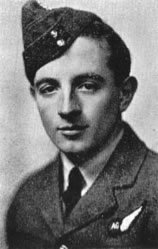 He acted as Air-gunner in Bomber crew; training at Kinloss. He was stationed at Wattisham and Leuchars. While operating from the latter base, he went missing over Norway in April 1941.